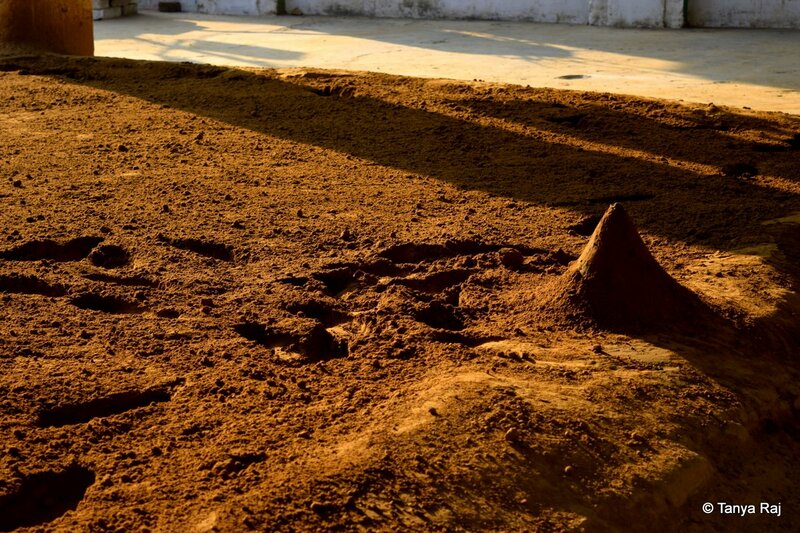 The akhara ground with a small mound which is considered to be the Divine’s presence and must always remain formed throughout the match. 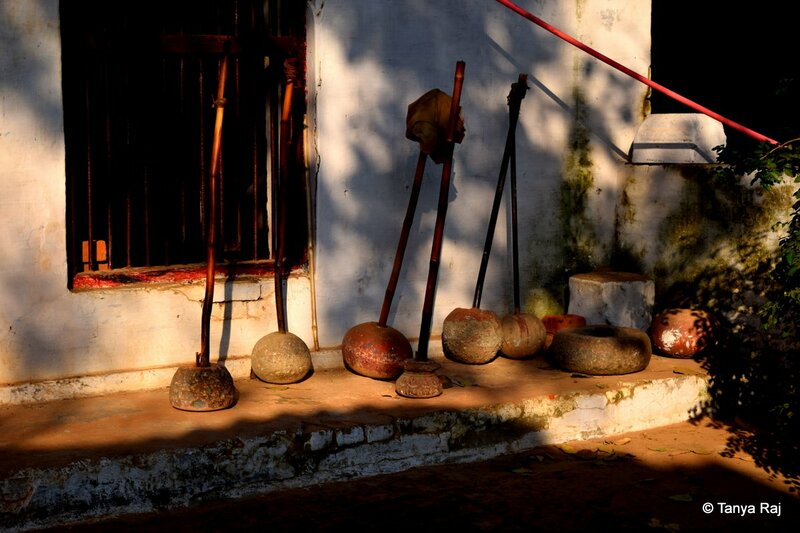 Ancient equipment is still used in these indigenous gyms for training. We were given a display of this beautiful fighting technique by the state champions. Here they begin by locking arms. 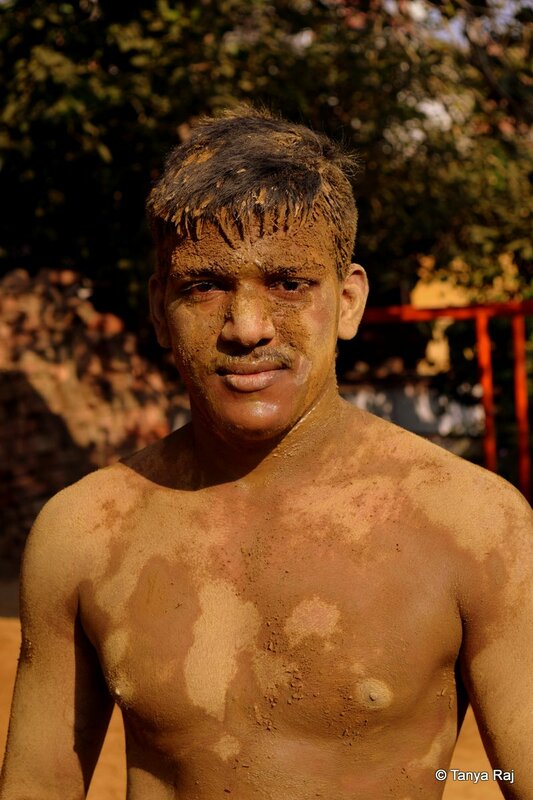 Covered in mud, opponents lock shins but at the same time respect the rules of the sport. 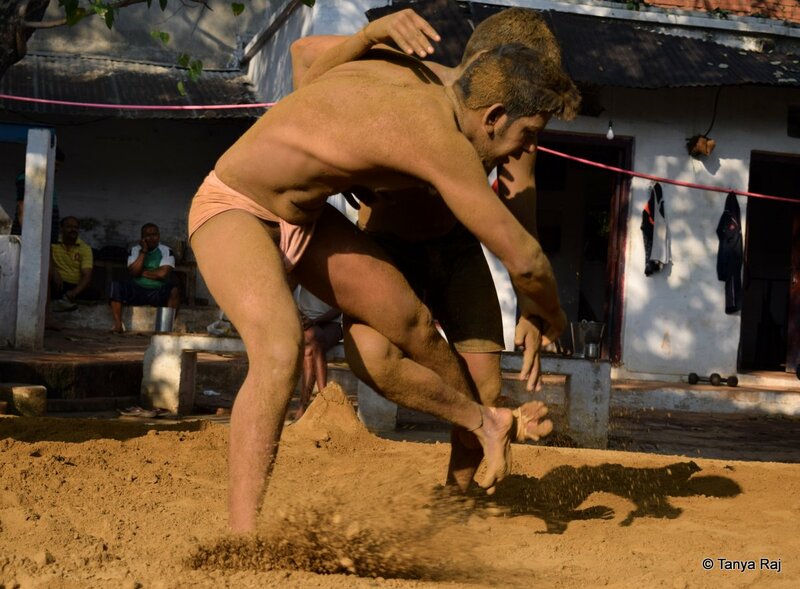 A twist of the arm propels the opponent in the air before he lands on his back. The fight had all the gusto and all the sportsmanship. Arms are locked to keep the opponent immobile. Pinning the opponent down can be quiet a task. A slight release and the opponent is ready to push back. He takes the opportunity and overthrows the other person. The camaraderie towards the fallen opponent and extended helping hands are something to learn from. A well-deserved rest after an hour of fighting. 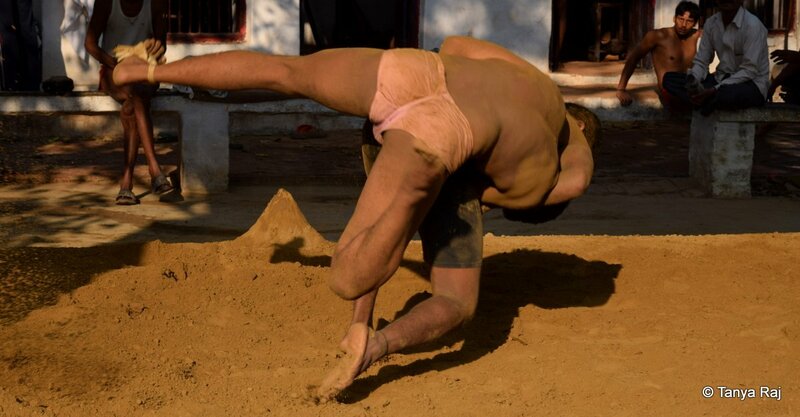 The training never stops – here the wrestlers rotate their bodies neck-down to strengthen the shoulder muscles. 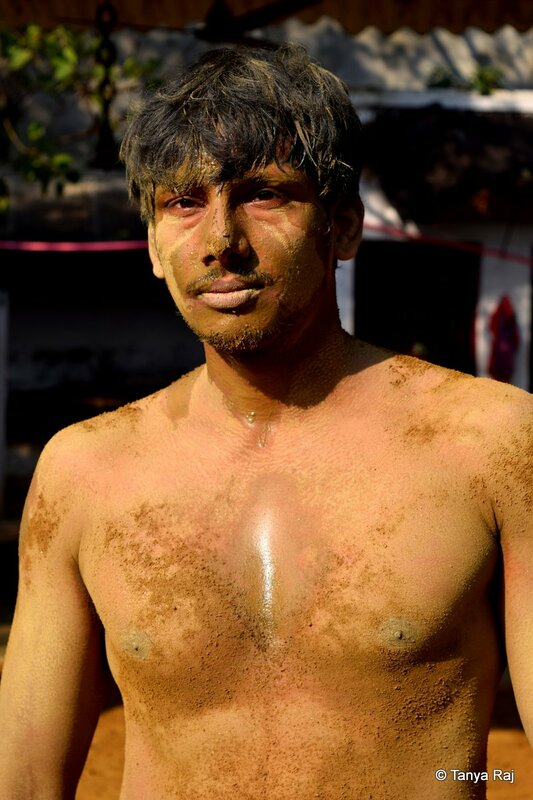 Mud clad and dripping sweat – mark of a good fight. Brothers, but on the akhara they are only opponents. This man is the state champion in this traditional form of wrestling.